Many of us know the nagging pain that comes with toothache or gum troubles. 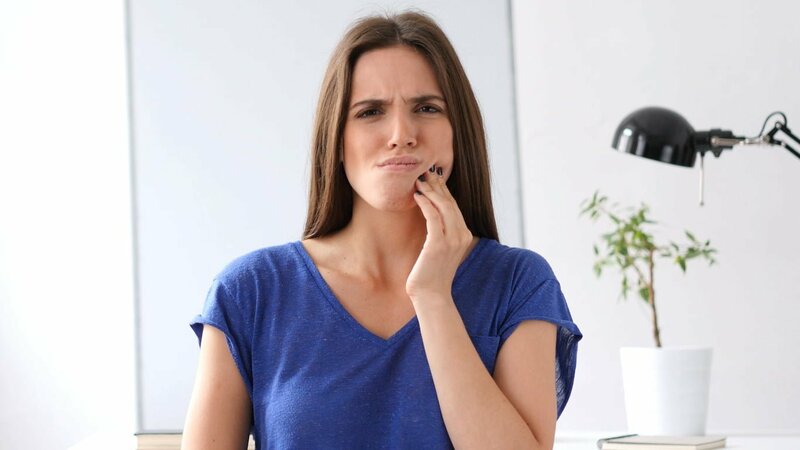 Whether it’s tooth decay, tooth sensitivity, gum erosion or anything else causing problems, dental pain can become debilitating if left untreated long enough. The good news is that there are steps you can take to relieve toothache and gum pain when it happens, as well as preventative measures to avoid dental pain in future. Here’s what you need to know. Salt Rinse – Add half a teaspoon of salt to a glass of warm water and stir to dissolve. Gently rinse with the solution for around 30 seconds and spit it out. Use this method 4-5 times a day to reduce inflammation. Cold Compress – Put an icepack on the affected side of your face for 5-10 minutes to reduce swelling. Repeat 2-3 times daily as needed. Over-the-counter Anaesthetics – Oral gels with anaesthetics can provide temporary pain relief by numbing the affected area. Ask your pharmacist what’s available but keep in mind that these gels are for short-term use only. Over-the-counter Painkillers – OTC painkillers can help provide relief of tooth or gum pain by reducing inflammation and/or blocking pain receptors. As with oral gels, painkillers should only be used temporarily. Use a Sensitive Toothpaste – If you’re experiencing mild sensitivity to hot or cold sensations, using a sensitive toothpaste with a soft-bristled toothbrush can help reduce sensitivity. Brush with a Fluoride Toothpaste – At low concentrations, fluoride inhibits the breakdown of teeth and enhances repair. Help prevent tooth decay by brushing morning and night with a fluoride toothpaste. Chew Sugar-free Gum – Chewing sugar-free gum is a great way to increase the amount of saliva in the mouth, which has protective effects on the teeth and gums and helps stop decay. Get Fissure Sealants – Decay often starts on the grooves of molars, which are notoriously hard to clean. Fissure sealing helps stop bad plaque from residing in hard-to-clean areas, preventing decay and protecting the surface of the tooth. Toothache and gum pain can be a sign of a bigger issue. If symptoms persist, get in touch to book an appointment for advice and treatment by our professional dental team. Learn how to relieve toothache and gum pain.